In a previous post, in criticism of A. A. Milne’s The Red House Mystery, I wrote something along the lines of, “If I want to read Sherlock Holmes, I’ll read Sherlock Holmes.” Originally this quote read, “If I want to read Sherlock Holmes, I’ll read Doyle.” After writing this, however, it quickly struck me how fundamentally false that second statement is. The character Sherlock Holmes is so big, so great and beloved that he no longer belongs just to Sir Arthur Conan Doyle (no really, he literally doesn’t: public domain). Sherlock Holmes is, after all, the Victorian equivalent of a super hero: powers beyond that of average man, conflicting personality issues, sidekick, well-matched super villain — It’s all there. Lyndsay Faye does an excellent job of resurrecting a very traditional Sherlock Holmes to the page in Dust and Shadow. She has a grasp of the canonical elements of the Homes mythos and captures the essence of Doyle’s detective on the page while injecting contemporary elements that make for a more interesting read. Additionally, she engages one of the most sensational murder sprees of all time with maturity and innovation. Strict lovers of the canon will be pleased to see references to all the best insider bits: 7 percent solution, tobacco tucked in a Turkish slipper, cigars in the coal scuttle, Lestrade portrayed as dogged but clueless, Watson steadfastly loyal but just a little bit left behind at times. 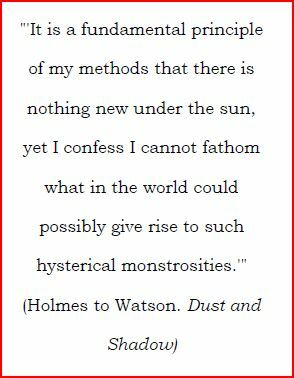 Faye even takes a stab at the misnomer “elementary my dear…” These canonical elements aside, the true strength of the text is in Holmes’ characterization. He is just as we expect him to be, cool and calculating while at the same time impatient and often self-damning. Reading Faye’s natural portrayal of Holmes one can easily settle in familiarly with the character without interruption and get right down to enjoying the mystery without adjusting for a new, possibly incongruent style. More important to note is that as all elements are conveyed through the voice of Dr. John Watson: It is his voice that Faye manages to capture with authenticity, capturing the most important element of the Doyle mysteries. This incongruence is the part of the risk of writing a new story with an old, preexisting character—with a character so well-known and well-defined; any change too drastic in the characterization runs the risk of offending the reading audience. Of course the other risk an author runs is that of bringing nothing new or innovative to the table. The reader expects something new to arise, even if they do not know it is what they are looking for. Faye does not fall into either of these traps, and delivers ably with a Holmes we recognize and love thrust into a situation that draws out the kind of adventures and investigations that are not quite what we have seen of him in his literary class, and rightly so, the world had not encountered any crimes like Jack the Ripper’s crimes until this time—nothing that had swept of the public quite so or shone a light on the miserable living conditions endured by London’s lower classes. The twist and solution are very pleasing. They are not so revolutionary as to stand out obtrusively: It is the solution that fits right at home in a traditional Holmes story. Additionally Faye knows how seasoned mystery readers read fiction. We are often looking for the obvious answer hidden in tertiary characters, waiting for that telegraphed twist, paying attention to conspicuously mundane details. Faye keeps even us guessing by making sure to include well-defined secondary and tertiary characters, so there is neither cheap telegraphing nor a solution that you never had a chance at catching. In other words, the movement of the plot and positioning of the clues is well-balanced. There are plenty of instances of parlor dialogue between Holmes and Watson, investigations in disguise, and sequences of suspenseful action and intrigue in the dark alleys of Whitechapel, building slowly to a believable yet clever solution. The best bits of Faye’s treatment of the mystery are an attention to detail. 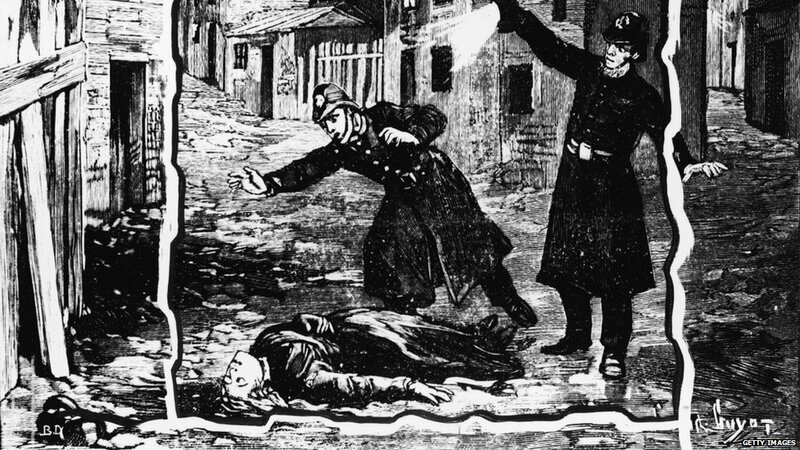 Attention to the details of the Holmes mythos and attention to the facts surrounding the Whitechapel murders and the historic context of late 19th century English culture in London. Ripperologists will be delighted by the historic map of the Whitechapel District at the beginning of the book, faithful reiterations of Saucey Jack’s letters to the newspapers and to Donald Rusk of the Vigilance Committee. Indeed, this is not the first time Holmes and The Ripper have been imagined in the same universe, but Faye’s portrayal should rank high for the way it fits the historical murders so naturally into Holmes’ literary world. Faye also expands on the canonical five victims to include theories relating to an unconfirmed early victim, Martha Tabram. Another feature that supports this text is the inclusion of a strong female character. Our heroine, Miss Mary Ann Monk, is an intriguing addition to the cast. I often found myself looking forward to the next encounter with her. Hers is an admirable and likeable character, being brave, clever, and resourceful despite her handicaps as a working class woman exposed to some of society’s worst conditions. Additionally, this provides alternate perspectives to the middle class male perspective filtered through Watson and Holmes. Although she does revert to type at some points, she does manage to shoulder her way into the boys’ club as much as a Victorian female character can be expected to without completely breaking the historic reality of the patriarchal culture operating at the time, and that last element is really key. There is a historic reality about how we should expect gender roles to be fulfilled in period literature, especially genre fiction. This does not mean one should expect to be content with the most negative of stereotypes, but one does need to alter expectations and accept whatever shortcoming there is. That said, Faye does not deliver any shortcoming in the character of Mary Ann Monk. Hers is an authentic, positive female heroine that delivers admirably along-side a narrative of Victorian patriarchal heroes and misogynist villains. 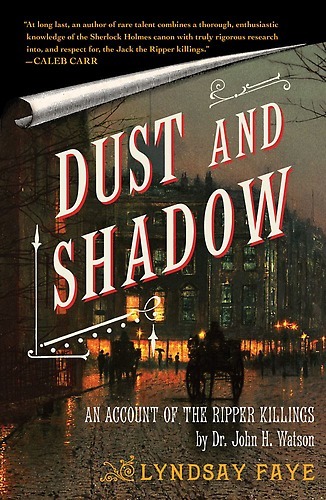 On the whole, what I felt from reading Dust and Shadow was an intriguing, yet comfortable sense of enjoyment from a period mystery populated by familiar elements intermingled in an only slightly new context: Comfortable and enjoyable. I did not often find myself rushing to the next chapter, but I was never displeased with the time spent reading. I often found myself chuckling at a turn of phrase from the characters, and the level of historic detail saturating the narrative is impressive and works well to support a truly atmospheric piece. Faye proves to be an excellent writer of dialect, as it supports the period atmosphere without tiring out the reader or turning characters into caricatures. So curl up by the fire with your briarwood pipe and another mystery– It is going to be a long, cold winter, and when the wind howls in the eaves, perhaps you’ll find yourself stalking the choked streets of Whitechapel 1888 with Holmes, the rache hunting the hunter, slipping in and out of shadow. 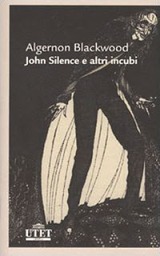 Blackwood published the John Silence stories in 1908. John Silence is an older, scholarly gentleman with the gift of psychic sensitivities tempered by “training at once physical, mental, and spiritual.” He investigates “psychical disturbances” in individuals, not crimes per se, generally linking them to occult forces and intervening using his own defensive psychic projections or occult ceremonies, making him a sort of metaphysical warrior-poet of sorts. The antagonistic forces are very old-world: psychic possessions by demons and spirits, dealings with witchcraft, lycanthropy, and Egyptian demons. 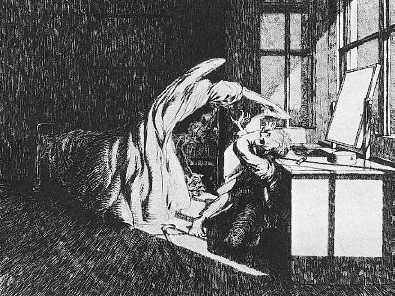 These old-world horrors thrust into the modern setting tend to latch onto dark, hidden passions within the victims creating a sort of synthesis of psychic attack and internal psychological conflict: folk superstition meets modern science. Silence acts always as a force for good, defending the human spirit from oppressive forces both external and internal and attempting to give psychical peace, often at the expense of his own peace. His private secretary, and often the story’s narrator, says of Silence that his power lies in “the knowledge, first, that thought can act at a distance, and, secondly, that thought is dynamic and can accomplish material results.” This concept of the power of human thought as both spiritually linked yet scientifically quantified truly defines the Silence stories as well as the historic context for their creation: the world was very much at a crossroads between the old order and the new day of science and reason. (excerpts from “A Psychical Invasion,” 1908). The atmosphere of these stories is often rather gothic, utilizing remote locations and family secrets resurfacing from the hidden past. The narrative style varies. One story, for example, is a third-person narrative focused on a character’s encounter with dark forces, and Silence only intervenes at the end. Another is presented as a nightmarish story narrated to Silence. 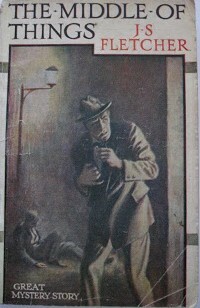 The best stories rely on the Sherlock Holmes model of mystery narration whereby the stories are chronicled in first-person by Silence’s personal secretary, a man experienced enough from working with Silence to adequately tell the story knowledgeably, but being enough of an everyman as to provide an approachable point of view for the reader. In these meta-fictional stories the investigation proceeds slowly, as Silence investigates phenomena and little-by-little determines the origins of the disturbances. Tension mounts as the atmosphere of psychic oppression grows in retaliation to Silences psychic probes. Climaxes are fairly action-packed and suspenseful. “A Psychical Invasion” – Dr. John Silence investigates a popular humorist whose good humors are being sapped by a malevolent force lingering in his country lodge. Whose is the sinister face that haunts the humorist’s dreams? Utilizing all his psychic energies with the help of his animal companions, Dr. Silence must banish the sinister presence or die trying. This is the quintessential Silence story and a good one with which to begin. It features elements of mystery and weird horror fiction. The tension builds slowly towards a psychic showdown in the remote country setting. The best features here are the well-paced rising action as the identity of the evil force is revealed little-by-lttle, and the use of a dog, Flame, and a cat, Smoke, as psychic allies. At first this may sound a bit fantastical, but the treatment of the animals as psychically attuned creatures integral to the investigation is measured and mature. It may well be one of the best “animal stories” around as the animals have true character but never become caricatures of human attributes: the cat is still a cat and behaves as such, as does the dog. “Ancient Sorceries” – Arthur Venzin, a timid Englishman, is carrying with him the secret of a terrifying encounter in the hill towns of France. He has heard the call of primal spirits and the worship of dark forces in those remote wilds that still hide in even the most civilized countries. Will he be able to purge the dark experience from his psyche with the help of Dr. John Silence, or is it too late? The arcane rites of humanity’s past lurk closer to the surface than any modern man could guess. 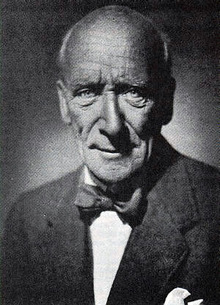 “Ancient Sorceries” draws upon a theme recurring in much of Lovecraft’s works as well as the work of other Weird Tales contemporaries: past lives and the calling of the past to the present. A well-read weird fiction connoisseur can often read the doom lurking at the end of the story when this theme arises: man seldom possesses the strength to break the chain of fate forged by the dark, primal forces of the past. This is therefore one of my lesser-preferred stories as it lacks the more intriguing elements that are Silence’s investigations and deductions. 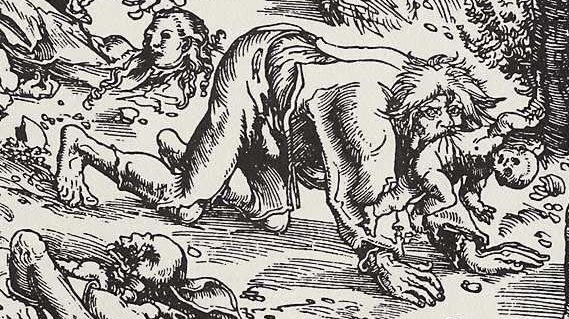 Still, “Ancient Sorceries” is worth the read for some of the artfully-wrought grotesque imagery. “The Nemesis of Fire” – Dr. John Silence’s secretary recounts an investigation that takes he and Silence to the limits of terror as they investigate an ancient presence terrorizing a country estate. A string of mysterious deaths trace their way back to an ill-fated expedition to Egypt. Now Silence will have to use occult rituals to find a name for the force that wishes only to blast the life from those who have disturbed its slumber. Is it too late to stay the flaming sword of vengeance? This is easily my favorite Silence story. It features the aforementioned narrative style centered around a recounting of the events by Silence’s secretary. It is also the story that has the greatest atmosphere of danger. The climax is both suspenseful and chilling. The forces here are violent and sinister and the mystery plays out subtly. Also there is an adequate mixture of psychic and occult themes. “The Camp of the Dog” – An English family and some friends take a holiday among the solitary islands of the Swedish Baltic where they set up camp for a secluded, rustic summer retreat. In the loneliness of those still untamed lands, a primal force is calling out to two members of the group, filling itself with their yearning and threatening to swallow their humanity into its pagan maw. Will Dr. Silence and his secretary be able to ward off the spirit of the wilds and stay the destructive hand of a faithless preacher. 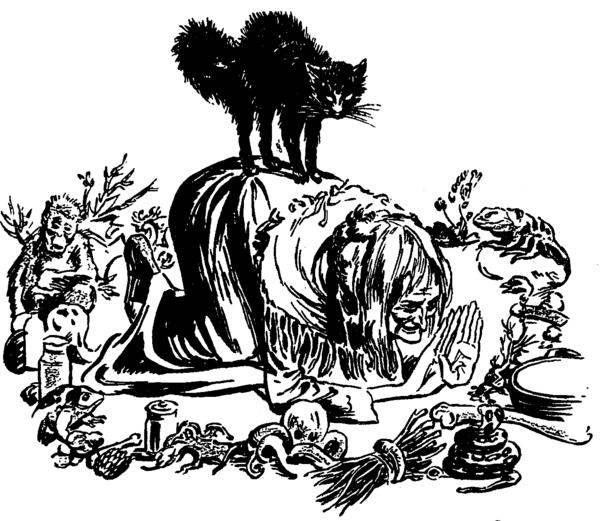 This story has the most elements of the aforementioned synthesis of psychic and psychological, and even in the midst of a romance-laden story of werewolves and pagan energies, it seems to comment on the human psyche and the conflict between the passions of the wild untamed world and the constraints of society and civilization. There is a strong subtext of hidden passion suppressed by modern reason. The setting is great for this story: a tiny island accessible only by canoe, several days from mainland. The strange seclusion of the Baltic Islands is a very unique setting, especially for a contemporary reader. The seclusion of the setting, tempered by Blackwood’s flowery descriptions of its severe beauty, and the heightening paranoia that grows as the camping party finds they are not alone on the island makes for a magnificent atmosphere of mystery. Another intriguing feature of the story in the young female character, Joan Maloney. Typically, one can expect a two dimensional portrayal of women in this type of work, and although Joan does revert to a certain type, she initially has an untamed quality which is portrayed quite positively for a time when manners and conduct were quite restrictive. “A Victim of Higher Space” – A man so thin he seems to pop in and out of existence–but is it really just a trick or perception or is there something more to his seemingly tenuous grip on this plane of existence. Dr. John Silence must discover how a man can will himself to slip outside of our dimension through only the inadvertent power of a focused mind. However, even if he can discover the secret of this travel, will he be able to anchor him again in this reality? Although the concepts of this piece of weird fiction are quite gripping and quite probably contribute to the body of work that shaped the mythos of modern horror master H.P. Lovecraft, this story seems to pale in its execution next to the rest of the collection. Our favorite personal secretary is replaced with a newcomer upon whom the story seems to inexplicably center. The new secretary plays into English classicist stereotypes and Blackwood’s use of cockney dialect is tiresome. That said, there are some quite original concepts here about dimensional existence, the power of thought, tonal vibrations, and the new frontier of experimental mathematics. Any appreciator of weird fiction must surely pause here to admire Blackwood’s execution of the concepts even if the story is less compelling. “Secret Worship” – An English merchant, Harris, traveling in Germany takes it upon himself to revisit the remote boys school of his childhood. Run by a severe group of Christian Brothers, the school made a lasting impression upon young Harris, who looks back on the order and self-discipline of those days with fondness in the face of a modern world that seems to him more and more hedonistic. 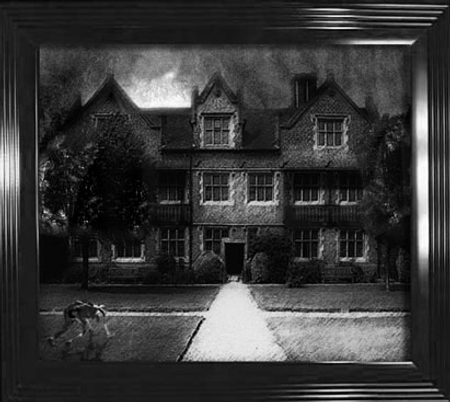 However, his journey of reconnection reveals that not all was what it seemed in those days, and a sinister cloud of darkness hovers over the old school buildings. Will Harris be able to escape the darkness that wishes to claim him? Will the mysterious fellow traveler shadowing him be is salvation or his doom. This story is the most like a traditional weird horror story. The narrative focuses solely on Harris and his gradual discovery of the dark secrets which lurked just out of view in his past. Silence only appears briefly. Tension builds slowly as Harris fills the typical role of the modern everyman who, when faced with the presence of the supernatural, finds every opportunity to reason it away, ignoring each ill-omen. Indeed I found myself wanting to shake some sense into him as he stubbornly continues to descend deeper into danger. The macabre imagery of the damned in this story is excellent: robed, dehumanized monks congregating in an old stone building in the midst of an abandoned village beneath cold stars. The Conjuring is another ably delivered supernatural thriller from the same talent pool that gave us Insidious, drawing upon the new trend of old bogeymen present in new horror. It is at heart an occult horror thriller presented with solid and subtle acting and pacing supported by a traditional incidental soundtrack. The visual staging draws upon singular creepy images thrust into motion, like a still night landscape that grows to disquieting life little by little under your gaze. The film’s attention to deliberate pacing then sudden violent assaults of sound and imagery may be interpreted as cheap scare techniques by some, but given the artful staging of the imagery of each scene, we can see that more has gone into this than pandering for jump from your seat moments. The viewer is left ill-at-ease, as silences or gazes linger then are suddenly shattered–then silence reigns again. Sometimes the filmmakers will telegraph action that indicates a scare coming from one direction only to hit you quite unexpectedly from another. However, overall, the visual effects are staged to be subtly creepy, like an illustration or word imagery from a M.R. James ghost story. On the whole, this film is a must for fans of intelligent horror and should also appeal to the casual film-goer as well. The plot is deliberately-paced, moving from a slow but intriguing beginning to an action-packed, frantic third act, running from creepy to suspenseful. Initially, I wondered if the action was too much by the end, but really one can’t expect a thriller of this type to end with a subtle twist like a winter ghost story: It must crescendo, and does. Therefore, I do suggest you catch The Conjuring in the theater while you can, as the atmosphere of the film benefits from the darkened atmosphere of the theater and surround sound effects. Trips to the theater with Cherry Coke and popcorn in hand are, after all, what summer is here for. …and when you get home, beware the ghoul peering over your shoulder in the mirror, the man standing silent behind the inwardly-swung open door to your bedroom, the darkness lurking in the closet, and the thing behind the eyes of the person with whom you share your home. Charmingly dischordant title aside, what could possibly be the link betwixt these two images? Why author A. A. Milne of course, he of The House at Pooh Corner. Don’t look so surprised, you can’t expect a person to write nothing but childhood whimsy for all his life. 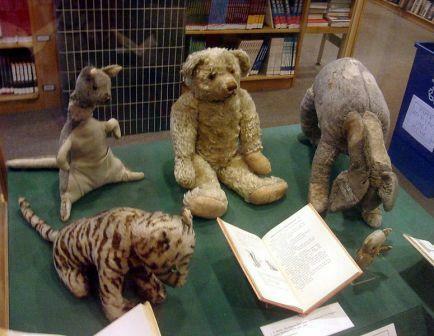 Milne is of course the author famous for creating the beloved character Winnie the Pooh. You may well know he enjoyed success with other writing, but it is for Pooh, Eeyore, and the rest that Milne will be forever know. 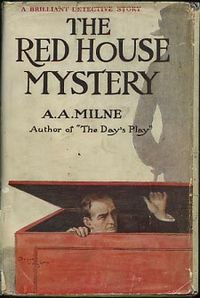 However, for those who love a good mystery, Milne’s The Red House Mystery (1922) is worthy of attention. The mystery carries many of the earmarks of British, Edwardian detection stories: a gentleman detective, a locked room murder, a remote country manor setting, a lost relation returning from abroad, and even a secret passage or two. There is a cast of interesting characters/suspects and a good twist, although regular readers of the genre may find it easier to figure out then when the mystery was initially written. In general, although ably written, the mystery doesn’t really stack up to competing writers like Agatha Christie or J.S. Fletcher, whose work is mentioned in a previous post: Christie’s twists are much more artful and “twisty,” and Fletcher’s procedural investigations are just a bit more intriguing. Still, there are some exciting episodes of late night investigation and sly outwitting of the criminal that provide intrigue and The Red House Mystery remains a worthwhile read, especially given that it is public domain work and accessible for free through Project Gutenberg. The most attractive and repellant elements are the protagonists. The character of Anthony Gillingham is a charming detective: quick-witted, confident, and funny. He is a young man of independent means who has made it his goal in life to experience life’s adventures. Rather than rest upon his laurels and live off his inheritance in luxury, he travels the country taking odd jobs: dishwasher, retail clerk in a tobacconist shop–Gillingham does not feel that any work is beneath him. Through the familiar tool of coincidence, Milne thrusts him into a role where he has the opportunity to try his hand at detection, and Gillingham fills the role delightedly. As an intelligent gentlemen unafraid of hard work and hardships, he is an admirable character, especially to contemporary audiences that are often turned off to classicist attitudes in Victorian and Edwardian literature. However, Gillingham’s sidekick, Bill, although likeable, is entirely too Watson-like. He is brave and smart, but too often a step behind. Gillingham is often playfully abusing Bill for this reason. Both Milne and the character Gillingham are aware of the parallels between Holmes and Watson and Bill and Tony and playfully allude to this comparison throughout the story; however, the contemporary reader is likely to tire of this. As the Watson-like everyman, Bill fulfills an essential function to the story-telling: He provides someone through whom the reader becomes gradually aware of the brilliant deductions of the master detective. However, the fact that it is so referential to Doyle’s detectives is tiresome. After all, if I wanted to read Holmes, I’d read Holmes. Furthermore, it puts the detective in a situation where if he is to truly win the readers’ admiration, he will have to “out-Holmes Holmes:” something impossible to do. The investigation of the mystery is based around deductive science, just as with Holmes. It is done well, and following the clues and evidence to their conclusion is enjoyable, so despite its shortcomings, The Red House Mystery will provide you with an enjoyable read. J. S. Fletcher was an English writer and journalist who began writing detective fiction in the early 20th century. Despite enjoying success in his own time and producing a significant body of work in the classic style of detective fiction’s Golden Age, Fletcher is most likely unknown to you. 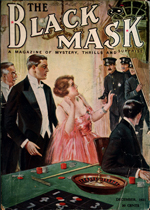 His work found its way to America largely through the pulp magazine Black Mask (1920-1952). You’d have to have been born and raised in a cave not to have heard of his most famous contemporary, Agatha Christie, who work in the same genre lives on and on, finding new life and new audiences. Christie’s mysteries are classic, embodying all those familiar elements of detective fiction that we love and find in detective fiction both on screen and on the page to this day. Fletcher’s share many of those elements (without of course Christie’s unique touches) making Fletcher an enjoyable read for anyone who enjoys a classic mystery and the atmosphere of the early 20th century. Note that I have not yet read all of Fletcher’s mysteries: I have been savoring them and stretching out my enjoyment of them as once I’ve read them all, there will be no more. My observations are based on four books: The Middle of Things (1922), Dead Men’s Money (1920), The Borough Treasurer (1921), and The Middle Temple Murder (1919). Fletcher’s mysteries start with your average , Edwardian everyman character , generally a young professional: lawyers, law clerks, newspapermen, and scholarly writers being unexpectedly drawn into murder. The crime brings suspicion upon a household or individual close to the protagonist (often with a quick bit of coincidence), and out of honor and goodwill, the protagonist takes it upon himself to clear the name of the accused. A mystery of the past complicates the simplicity of the crime, often sub-themes about lost heirs to Royal peerages or past crimes. These mysteries are quintessentially British Edwardian in this respect as manners and conduct are directed towards defense of the reputation of the family name. Usually a beautiful young girl’s reputation is involved, and there is always a bit of romance by the end, although it is not always the protagonist who will get the girl. Fletcher’s settings are of course quite English. In the selected four stories, we have two in the English countryside and two in London, creating a great pastiche of the cultures of both locations. Characters journey from lonely country roads, to the bustling streets of Whitechapel. The investigation of the crime is approached procedurally, usually with cooperation from friendly authorities or lawyers representing the legal system. The approach to the investigation is perhaps the defining aspect of Fletcher’s style: It is a very ordered and logical progression that eventually proceeds to an intriguing but wholly believable solution, twisting along the way but never too drastically or unbelievably. This is a bit of a departure from Christie’s mysteries of surprising plots twists, complex murder schemes, and sometimes convoluted solutions. The crimes are often about money (realistically enough as one might argue most crimes are about money). Characterization is even-handed and believable: It is rare that a character immediately stands out as a “good guy” or “bad guy,” and you will be often left second-guessing along with the protagonist as to who is telling the truth. The protagonists/investigators are average, if intelligent, men of good standing. There is seldom drama surrounding their lives: Their reputations and fortunes are usually secure and the primary drama comes from protecting the interests of purely innocent characters. Personally I enjoy this aspect as it is sometimes nice to not have too much drama and just enjoy the unfolding of the mystery. The narratives are mostly third-person, largely building clues solely from the investigators’ perspectives, sometimes following the actions of other characters as they serve to build suspense, but quickly returning to the experiences and perceptions of the core protagonists. Dead Men’s Money is the only story discussed here in a first-person voice, making for a main character with whom it is easy to identify and follow the pieces of the mystery. The climax of Fletcher’s stories generally involves a good bit of action, suspense, and excitement, making for an crescendo finish and brief explanation of the solution/denouement. Female characters generally fill secondary roles as victims or people to be protected, although they stop short of being entirely two-dimensional, and Fletcher’s country girls do show a bit of fire from time to time. Also there is a touch of the old English elitist attitudes towards lower and upper classes, although these are not flagrantly on display. Taken as a period piece, one may find these attitudes excusable, and it is the very fact that these mysteries are so steeped in the culture of the period that gives them much of their escapist charm. I find the most enjoyable aspects of these mysteries that they are a product of this incredibly far gone period of history: when one had to conduct one’s self respectably and gathering clues meant shoe leather, navigating old newspaper clippings, conducting interview in remote locations, or pouring over archaic church records. It is indeed a different world Fletcher writes in, but one filled with the same kinds of crime we find today, perhaps just perpetrated a bit more politely. Best of all you can find these titles for free at Project Gutenberg, a web project bringing public domain literature to you in a digital format with no charge. The Middle of Things: Young writer and scholar, Mr.Richard Viner, lives a quiet life of independent means in London with his elderly Aunt whose only vice seems to be a fascination with mystery fiction. One night, upon reading yet another novel of murder and mystery to his maiden aunt, Viner proclaims it all to be “fancy and imagination” and makes his way out the door for his evening walk. However, Viner finds that his aunt may have been right to call it “real life in the form of fiction” when he discovers his neighbor murdered in the alleyway behind his house. Could such a crime really happen in his neighborhood? Could it really be that his old school chum the murder? Viner has been thrust into the middle of things, and it is up to him to solve the enigma of the murdered man’s mysterious past abroad and his bloody end in London. Dead Men’s Money: Young law clerk Hugh Moneylaws, age 19, lives a quiet life with his mother in the little town of Berwick studying for a career in law and planning a future with his sweetheart Masie. One day his mother’s lodger, a weathered man with one eye asks Hugh to deliver a secret message in the wee hours of the morning to a remote spot on the rural rode near the Twizel Bridge. What he finds waiting for him beyond the hedgerow turns his blood cold and puts him in the midst of a conspiracy of revenge and murder. Who is this grizzled lodger with the eye patch? What secrets does he hold in the sea chest he guards covetously in his room? Who is the man with the missing fingers half-glimpsed in the moonlight on the rode that night? Hugh must answer these questions and more if he expects to survive the danger waiting for him and Masie in the lonely reaches of woodland along the River Tweed. The Middle Temple Murder: A bright young newspaperman with a knack for being in the right place at the right time. A spirited young barrister looking to grab what he wants from life. A vivacious girl with laughing eyes. And a body found murdered in the very heart of one of London’s most important legal hubs, the Middle Temple Inns of Court. The discovery of the body leads but from one mystery to another. Spargo, The Watchman‘s star writer is going to pull out all the stops to solve the mystery into which he’s stumbled and get the story of a lifetime. However, in a murder surrounded by lawyers, who can you trust? The Borough Treasurer: The sins of the past come back to haunt the civic leaders of a bustling northern village, and blackmail, corruption, and murder soon follow. On a weekend visit to his old friend,the young lawyer Brereton will have to dig deep into the past to solve the mystery of a town where no one’s identity is what it seems and everyone seems to harbor a secret. Will he have the courage to lay bare the truth and decide what is right? Just when you think you’ve got it figured out, Fletcher delivers another switchback twist to keep you guessing who’s honest and who’s not. Although perhaps not “long-awaited” by most, Solomon Kane was a long time coming, and I met its arrival in my mailbox in the familiar red envelope with eagerness this week. 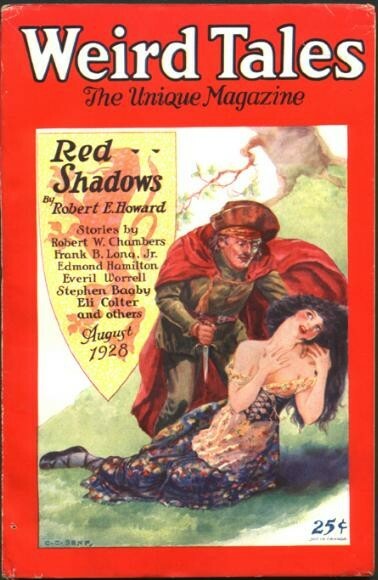 More so than anything, my eagerness was born out of a familiarity with the source material, the short stories written by Robert E Howard for pulp magazines like Weird Tales between 1928-1932. Those of us familiar with the history and heritage of pulp and genre fiction magazines often look forward to the introduction of these largely obscure characters, created by oft passed-over writers to a larger public through the medium of film. This is why I was disappointed that Solomon Kane did not find wider theater distribution, especially not in my region, upon its initial release in 2009. As an enthusiast of early weird and genre fiction, I feel like a member of a secret and exclusive club of connoisseurs: certainly a good deal of hubris on my part; however I do think those of us familiar with the body of work do pride over selves on appreciating something many 21st century readers and 20th century scholars pass over, but are prouder still when those characters find wider appeal. 2011’s Conan the Barbarian serves as an excellent example, although his renaissance begins in the 70’s, before my time, the most recent film breathed new life into the character, following more closely Howard’s vision of a savage and violent land mastered by a savage and violent man, Conan of Cimmeria, than did other recent Conan projects, although there is much of the spirit in the De Laurentiss films but less of the atmosphere. I was quite pleased with the film, more so for the bloody nastiness portrayed, maintaining Howard’s style and vision, than for any great piece of storytelling or cinematic mastery. However, it is more than adequate as an entertaining, quick-paced, high fantasy action flick. In other words, I came to be entertained, not necessarily to be awed and inspired, so I have no complaints to make. This brings me back to Solomon Kane and his late arrival on the film scene with only brief appearances in comics in the 70’s and 80’s to maintain his tradition. Watching the film I can easily see why it sat on the shelf for awhile as the content is not the usual stock and trade of movie theaters. The characters and plot are built around and driven by Christian concepts and imagery, something that doesn’t sell well across markets, and there is a particularly nasty crucifixion scene before the fourth-act finale, so kindly leave the kiddies at home–not necessarily what film distribution companies want to invest in. However, once again these elements are the ones that really capture the essence of Howard’s source material and bring the gloomy Puritan from the page to the screen. Without the Christian symbolism and the brooding over sin and damnation that follows violence and vengeance, leading to the birth of the cold man with piercing eyes, there is no story to be told. So once again, I was proud another of those hidden heroes of pulp resurfaces in Solomon Kane and is treated respectfully in the spirit of the original vision. That said, here was another film that failed to impress, but served to entertain. The overall look of the film, is gray and dark, keeping with the spirit of the story and maintaining the proper atmosphere for a story of blood and vengeance. James Purefoy carries off his role well as the somber and steely Kane, following the roller-coaster of Kane’s onscreen personas: the blood-soaked killer, the repentant Puritan, the sorrowful man or god, and the anguished every-man. 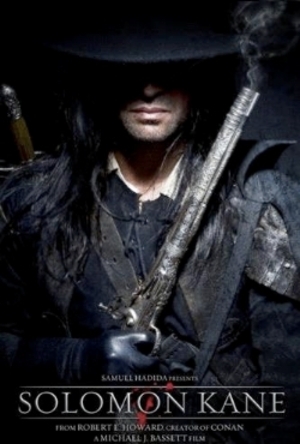 Traditional supernatural elements based in European folklore, witches, satanists, demons, and the undead, are present, these being staples of most of the Solomon Kane stories. 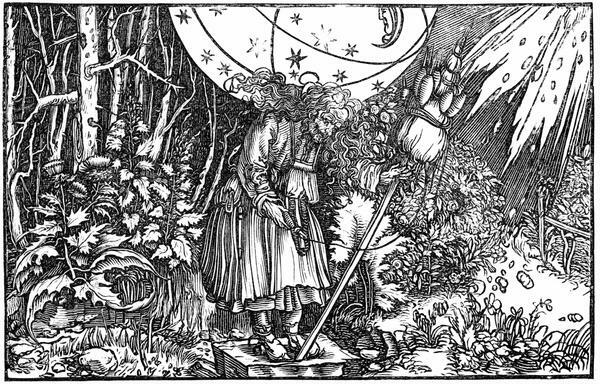 These elements grounded in their folklore roots are integral to what I find most desirable in the story. I, for one, have had enough modern, sparkly vampires, teenage werewolves, and government bio-weapon zombies lately. Everything old is new again, and I like this callback to the traditional bogeymen of legend. The trend has been building steam with the success of Insidious and the Paranormal Activity films to name a few, although they have dealt exclusively with demons, but you take what you can get. That said, the weaker part of the film is the clichéd representation of the enemy: largely uniform, faceless marauders that look mostly like they stepped out of the 1980’s Conan films, a mysterious masked leader who is basically a Darth Vader analogue, and a sorcerer pulling all the strings who only appears in the last 5 minutes. There was little intrigue in how he faced down what are essentially Satan’s foot soldiers. However uncompelling the human enemy is, the action sequences are entertaining and have a realistic gravity to them with enough limb-chopping, ham-stringing, and arterial perforation to count towards extra credit research for your Anatomy class. The visual concepts for Kane, the settings, and the supernatural characters, (especially the mirror demons) are intriguing and cohere to each other nicely in the grotesque with the exception of some CGI effects which undermine the creepiness otherwise conveyed by the staging and the make-up effects, another lost art this film resurrects. Overall, I came to be entertained and visit my old friend Kane. I was happy to find him alive and well in Bassett’s film with some bonuses, like real makeup effects and the bravery to embrace unpopular subject matter, to boot. Ironically, Kane at his most iconic and true to the imagery of Howard’s stories, lanky man with slouch hat and red sash, moving wraith-like with dirk and rapier coldly cutting down sinners, was cut from the film as, according to the director, the scene did not fit in the narrative. The scene can be found in the bonus features and is worth a watch, although the dialogue punctuating the scene, “where’s the girl,” is so corny as to be cringe-worthy. Perhaps watch it with the sound off since your Solomon Kane stories never had a soundtrack anyway beyond the one your imagination composed in your head as you sat snuggly in bed devouring each exciting word of Howard’s story tucked away like a hidden gem in the strange little anthology you were lucky enough to spot in the tiny section of your local bookstore.